Find It Now/FIN Offers FREE Identity Protection Package! Port Richey, FL - Find It Now USA, LLC the creator of the Original Early Warning GPS Security System announced today their new dealer/rider promotion. Once again FIN® is FIRST to offer something that will not only help dealers sell more FIN® units, but will give your customers and their family Total Piece of Mind. will not lapse. You can upgrade or extend your protection anytime at a discounted rate. Silver is one additional year and Gold is two additional years with a substantial savings for your customers, both with GPS Security & FIN-Identity Protection. Our test sample of Dealers feel 3-year Warranty, 3-year GPS Security & 3-years Identity Protection is a perfect package! Revenue sharing for the Dealer for the Second & Third year ‘Security Packages’ with FIN-Identity Protection will be 16%. Identity Theft affects millions of Americans every year. It is consistently the number one complaint to the Federal Trade Commission. Rampant data breaches, affecting millions upon millions of records, are putting consumers at great risk of identity theft. Identity Theft is at an all-time high, with a theft every 2 seconds and FIN feels this added Protection Package will become a valuable closing tool for dealers nationally. Similar packages like the one FIN is offering for FREE can cost as much as $19.95 a month or thousands annually. 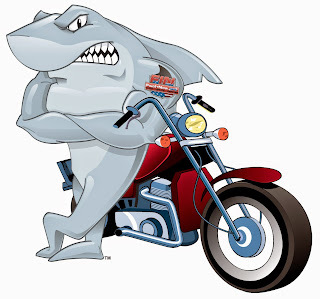 The FIN Security System is the premier security and tracking system for the Powersports industry. FIN has the most up to date technology and a highly trained staff to assist you 24/7/365. FIN's Power Management and Operating System sets them apart from the competition...It is rugged, shock resistant and water resistant! The FIN can be used on all Motorcycles & Powersports vehicles of every kind and will Alert you via cellular text message and email and will quickly begin to track and interface with any police department for quick recovery. American Made, Veteran Owned and Operated and available at Motorcycle and Powersports dealers all across the USA. Increase your profitability by offering your customers this state-of-the-art security system. Call Find It Now at 888-811-3883; email them at Sales@FindItNowUSA.com or visit http://www.FindItNowUSA.com. Celebrate 35 Years of the best Party Anywhere!